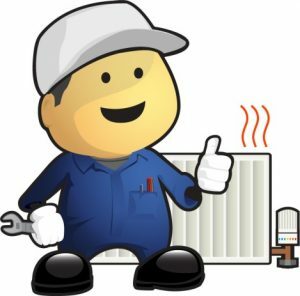 Don’t be overwhelmed by this information, the most important thing to know is if your home runs on LP Gas or Natural Gas both options can provide us with hot water, heating and power to cook food, as well as fuel for our cars. 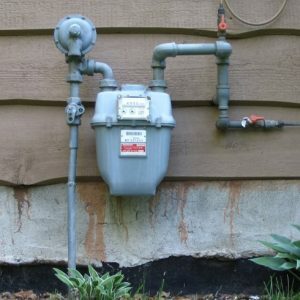 If there is a gas meter outside your house usually this indicates your system runs on natural gas however if no natural gas is present sometimes certain areas may run on reticulated LPG gas mains. Also it is it easy to see the difference between LPG and Natural Gas when buying a gas stove. 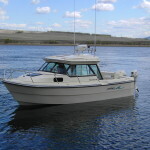 Usually you are supplied with two sets of jets, one set for natural gas and one set for LPG. You fit one jet in each burner. 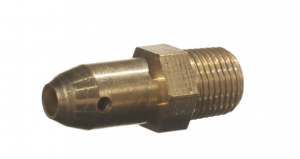 The jet is simply a little screw-in cap with a hole drilled into it. 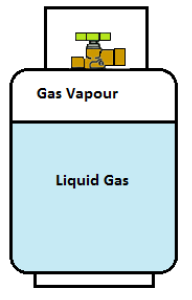 The difference is that the hole in the jet for natural gas is about twice as big as the hole in the jet for LPG. 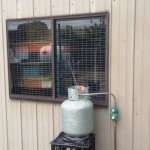 The reason for that is that LPG contains a higher heating or caloric value than natural gas. Don’t try it on purpose but it is easy visible when you use a gas appliance that is set up for natural gas and then run it on LPG, the appliance is going to run more than twice as hot. In some cases this can relate to extreme heat and fire. What is a LPG gas regulator? The main purpose of an LPG gas regulator is to reduce gas bottle pressures which can be around 800-900kpa depending on the temperature down to a safe working pressure and have the ability to maintain the accepted pressure. Different regulators are used depending on the location along the gas pipeline; however the main reason is to be able to deliver a safe working pressure for the appliance to run correctly and efficiently. 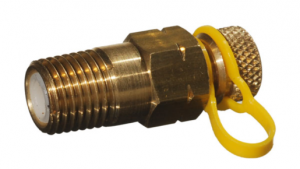 Single Stage cylinder Regulator – They should not be installed in a fixed piping system which includes appliances for RVs, manufactured housing, motor homes or food service vehicles. However you can use Single Stage Regulators for small outdoor cooking appliances such as gas grills or BBQs. 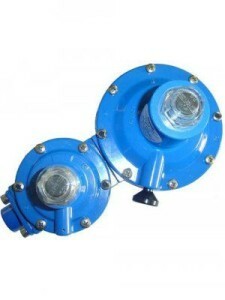 Twin Stage Regulator – They are more reliable than a single stage regulator as they need less maintenance. 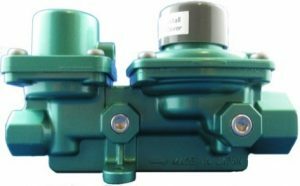 They also contain a first and second stage regulator which regulates the pressure twice and allows a safer distribution of pressure. Twin stage Regulators and to be never connected directly a to a LPG cylinder and should always be mounted vertically. Automatic Change over regulator – This Regulator is fantastic for those who do not like to lose gas at night and have to go outside to switch over and relight their Hot Water System. With the automatic changeover regulator once the pressure on the supply side drops the regulator automatically changes over to the reserve side and a red marker pops up to notify you that you are on the reserve side and that the supply cylinder should filled. This regulator is a twin stage also. First Stage Regulator – Regulates the pressure in two stages and serves as a primary means for pressure regulation in a two stage system, usually used on LPG bulk tanks. Suitable for domestic and commercial applications. First stage regulators are usually coloured Red. Second Stage Regulator: A second stage regulator will be installed to regulate after the first stage regulator. It decreases the pressure that comes after the first stage regulator to provide a safe gas pressure to the appliances. Second stage regulators are usually coloured Brown. 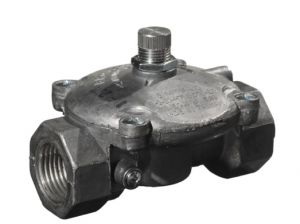 OPSO (Over Pressure Shut off) Regulator – This kind of regulator has under Australian law to be installed when you have an inlet pressure greater than 7kpa when reducing to 2.75kpa. Appliance Regulator – This regulator is required to be installed on all Natural gas appliances and depending on the manufacturer’s instructions may also be required to be used on LPG. When the gas flows up into the regulator a combination of springs, seat disc and diaphragms regulates the gas flow to the required output for the connected appliances. Along with the vent which allows the diaphragm to move freely. The vent should always be free of debris. 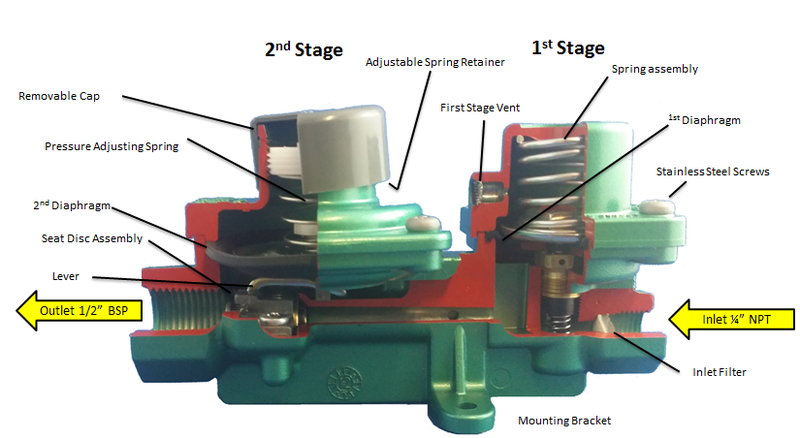 The most sensitive item in a regulator is the diaphragm which is made out of flexible rubber and transmits pressure variations to control linkage. 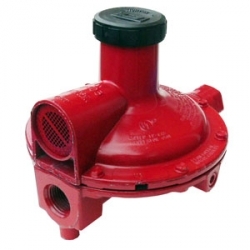 A regulator should always be installed in an upright position and the outlet of the gas regulator to be located higher than the cylinder valve on the gas bottle. 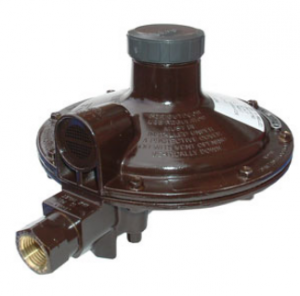 Before you install a LPG regulator it is important to select the correct regulator for the job. The connection from gas cylinder to the regulator is to be connected via a component called a pigtail. Pigtails are used to transfer high pressure gas from the gas bottle to the regulator. Pigtails are usually either copper or stainless steel braided flexible however both have to meet specific requirements and be approved for carrying high pressure LPG. The length of a copper pigtail cannot exceed 1m in length while the stainless steel braided cannot exceed 600mm. 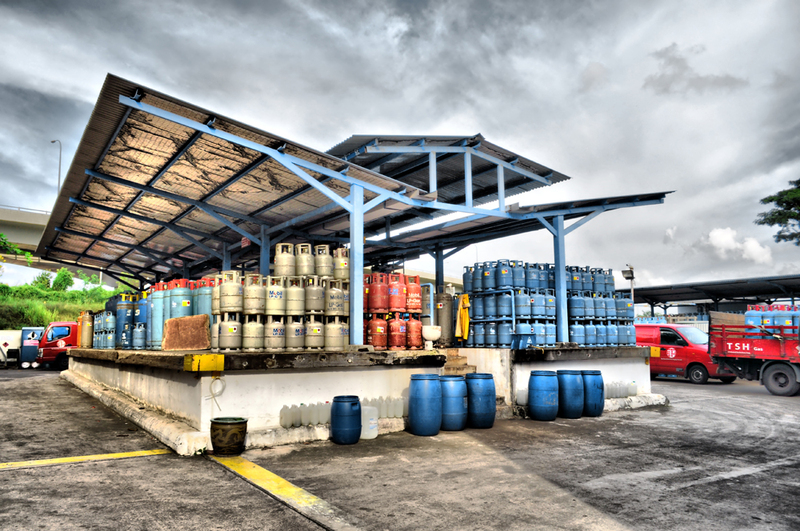 This requirement is located in the Australian Gas Standards AS1596 – Storage and Handling of LP Gas. Due to the reliability of the material, copper has the longest lifespan however be cautions that when bending the copper pigtail the more often you are repeating the process the easier the copper will fatigue and may cause to split at the flare end. 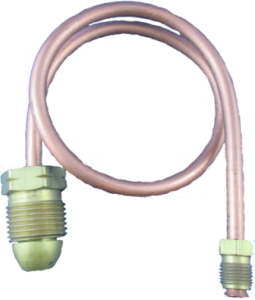 Copper pigtails are ideal for use on insitu gas bottles. 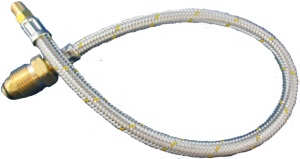 The flexible stainless steel version has an inner tube that is covered by a stainless steel braid. Be aware that the plasticizer from hoses can also get into your gas bottles and remain there. Even if there are no more rubber hoses connected the left over rubber in the gas bottle can leave after certain circumstances and go through your copper or stainless steel pigtails to the regulator and harm it. Stainless steel pigtails are ideal for use on domestic household when connecting 9kg gas bottles due to the easy removal and reconnection. 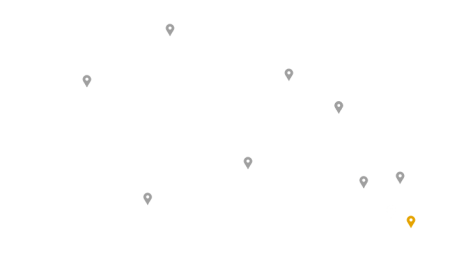 Test Points are in some states of Australia mandatory which can be easily included in the regulator set. Without big effort loosening the test screw shows you if the regulator is functioning correctly with an acceptable pressure gauge. Excess pressure indicates a faulty regulator, while limited pressure indicates a blocked regulator or pigtail. There are different types of test points depending on the application whether this is a first stage, second stage or twinstage regulator. 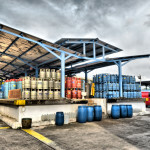 Insitu Gas Cylinders – Insitu Gas cylinders are used in locations where an LPG tanker truck can have easy access to the gas cylinders or within 30 metres to fill the cylinders without interrupting a gas supply via a liquid LPG tanker hose. You may see these types of cylinders at shopping centres, schools, commercial and industrial businesses along with general households. Exchange Gas Cylinders – Exchange gas cylinders are used in locations where an LPG tanker truck has no access and out of a 30 metre radius. 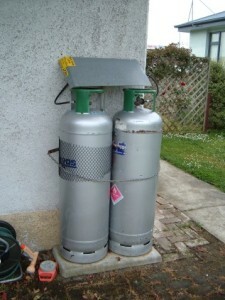 Exchange gas cylinders are ideal for general households as some locations of gas cylinders are difficult to get too.